It's been very cold and windy for several days this February. 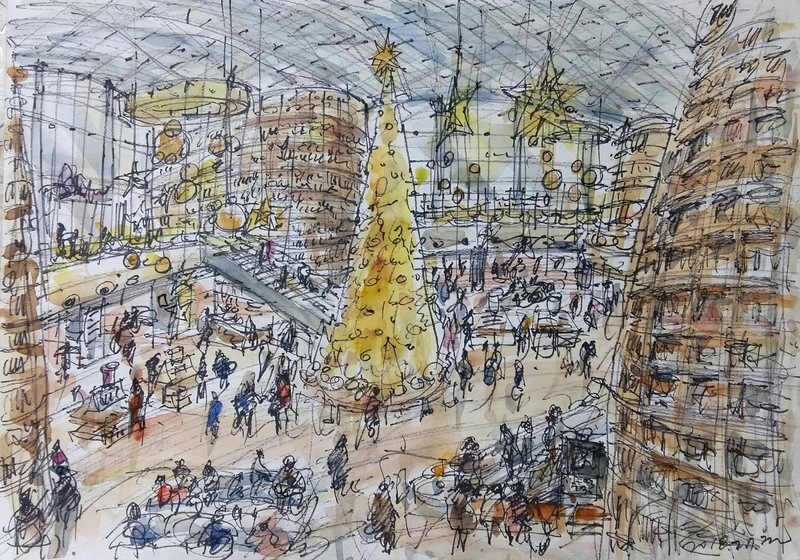 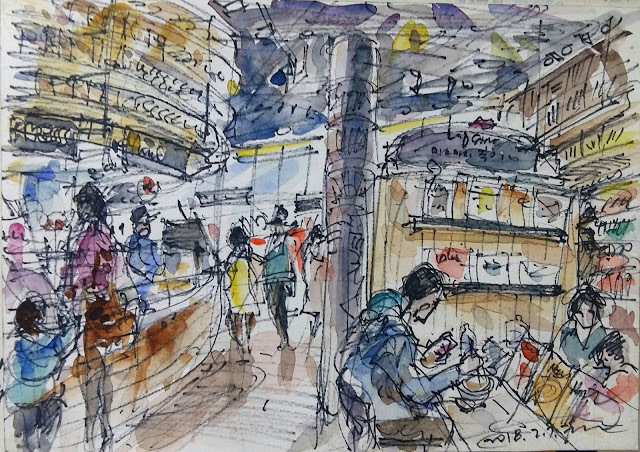 Yesterday, avoiding outdoor sketch in cold weather, I joined Seoul urban sketchers for indoor sketching at Starfield Library, newly opened in Starfield COEX Mall last year. 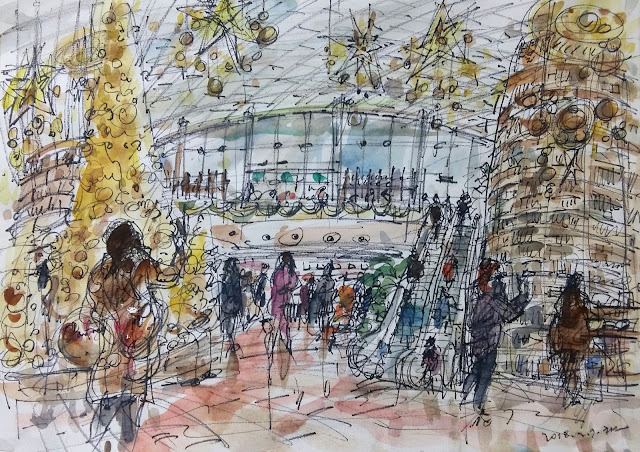 Starfield COEX Mall not only is the largest underground shopping mall in Korea, but also is a shopping mecca for global luxury brands in fashion, beauty, accessories, and so on. Besides, the mall contains a lot of popular attractions including fantastic Starfield Library. 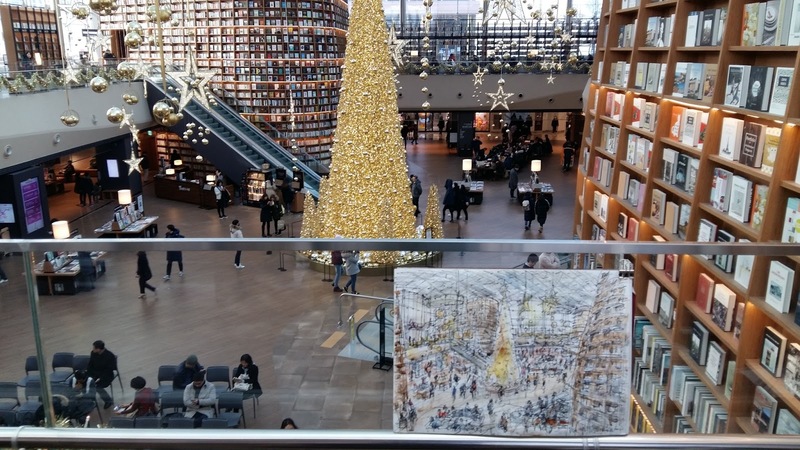 The two-story library consists of three 13m tall giant bookshelves packed with countless books and magazines, and offers a pleasing environment for visitors to relax or to enjoy reading with its stylish reading tables and chairs. This place certainly is the new hot place for citizens and visitors to spend their free time. 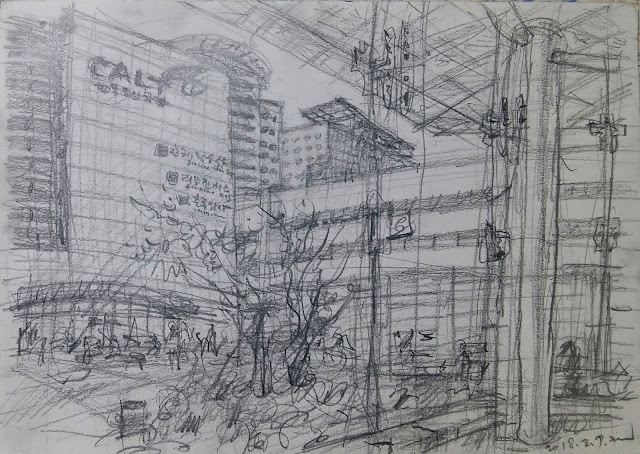 It's very fantastic subject to sketch diverse scenes through a huge space. I sketched in and out the interesting library with various points in the crowd of people entering and leaving the Starfield COEX Mall. 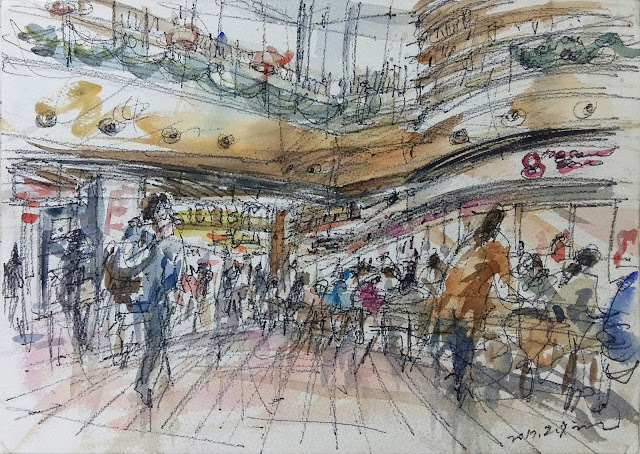 I had a valuable sketch time exploring various scenes of the open library.